To accommodate a wide variety of users, leg pad on olympic decline bench adjusts in 10 settings. Unique shape of FreeMotion frame allows spotter close proximity to lifter for safety spotting. The EPIC F215 bench's contoured shin pads slide to fit a wide variety of users and roll for additional comfort. 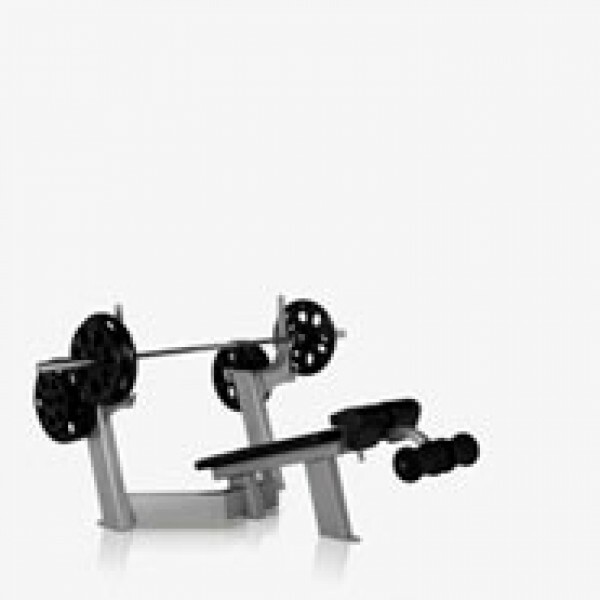 Attached plate racks on free weight bench are positioned near the bar for easy loading.